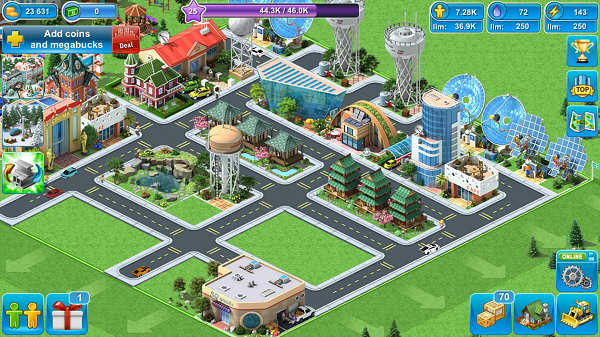 Megapolis is a mobile-friendly city builder by Social Quantum. Of the city builders available on mobile platforms it’s one of the better ones available given that it’s not entirely dependent on the player interacting with other players. It’s suggested that you add friends to enjoy certain features such as trading items and supplies—much like other mobile and browser titles—but it’s not necessary. The gameplay here is pretty straightforward if you’re familiar with city builder classics like Sim City, Cleopatra, and Caesar. Even if you aren’t familiar with the gist of this genre, it’s easy to catch on to the basics: lay down roads, place buildings, place utility structures, manage taxes, attract more people to your city, and use money wisely. 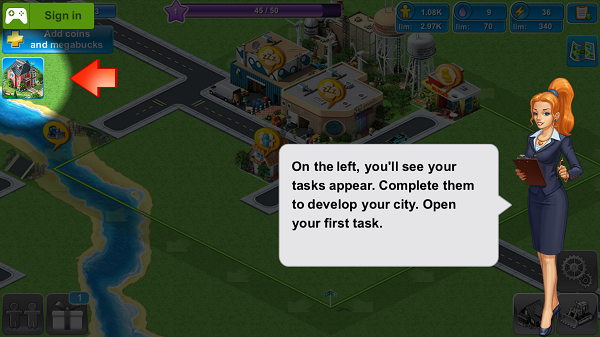 With Megapolis, you have some objectives thrown in to keep you playing and give you something resembling a structure. Achieving these objectives allow you to gain resources and make money from rewards depending on the objective. 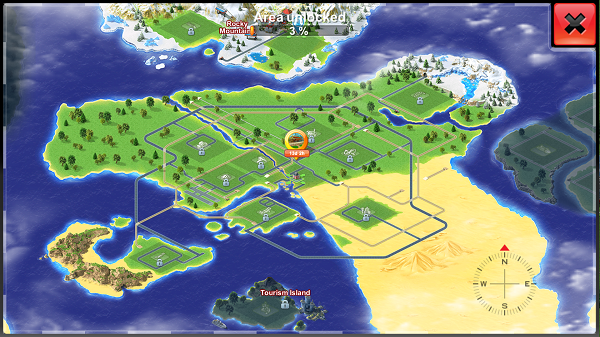 The resources are used to build tourist landmarks and mass transit structures that generate more money. Players are able to delete structures and roads as needed and restructure the road which helps when you start to get these larger structures that can block out smaller structures that generate money. You are able to regain some coins back from destroying a structure. The downside is that you might be tempted to use up all of your money ahead before you start to learn a bunch of things about stuff that you can purchase or will need to purchase to complete certain objectives. The game does explain this when these things pop up and the tutorial is useful, but players will get pretty far when it comes to spending coins before then. There’s also the issue of not being able to rotate the map which makes things difficult when players start to get the above mentioned taller buildings. You’ll find yourself altering your layout regularly once these tall buildings are made available as you go along. Another thing is that since it is a mobile title, there will be some waiting as some product are being made when you assign them to certain building. Products that generate more coins tend to take much longer—in the 6 hour to 24 hour range. The remedy is to have more than one of these buildings.